Brian Falther knows all about an unfulfilling career. He was an engineer. He worked on cars. He was stuck in Michigan. Then he read about vertical farming. Brian was hooked and he started spending 18 hours a day reading and learning about vertical farming. He eschewed all media and news. When I ask him how he spent that much time learning about vertical farming while working as an engineer, he laughs and says “that’s probably why I’m not there anymore.” The unfulfilling career is over. Brian is the co-founder of a new agtech startup called Future Tech Farm. He sees technology as the way forward towards a more cooperative, efficient way of decentralized food production. 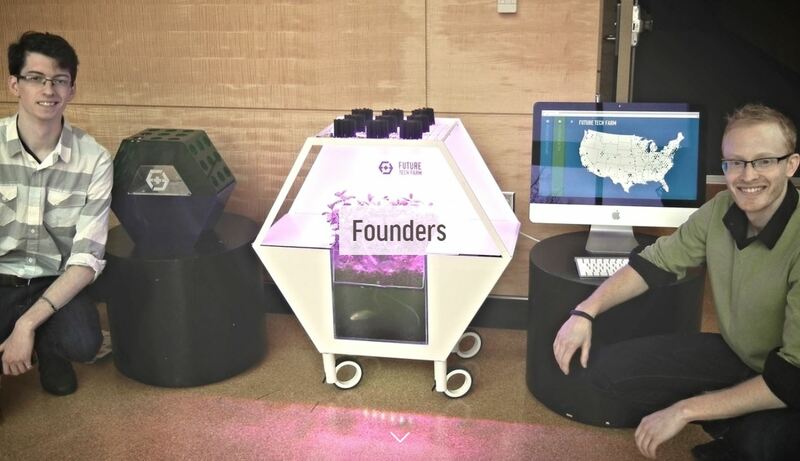 He believes a digitally linked network of personal grow units will produce food for personal consumption. The digital network will report any excess in production and automatically redistribute it. “Maybe a quadcopter will fly in through your window and take it away,” he jokes. Right now he’s working on a sensor system that will identify those efficiencies that will make the excess for the quadcopters to carry possible. I asked him about funding it, and that story made me cringe. I cringed because Brian and his partner Austin had developed a really cool vertical farming concept. They had taken the idea of the Volksgarden system and redesigned it to not only be more aesthetically pleasing, but also more efficient. These units were long, rotating tubes with a central light source ensuring even lighting and 360 degrees of production space. That next level is the ACE Unit. 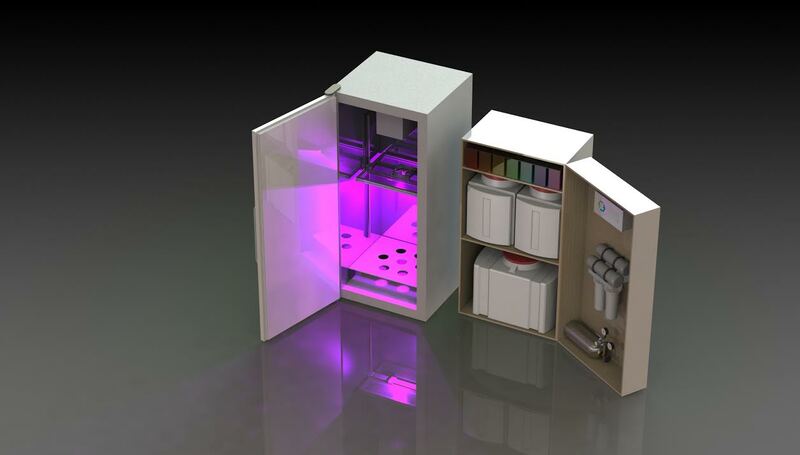 ACE stands for Autonomous Controlled Environment and is controlled environment agriculture’s version of the conjurer’s closet. Brian tells me the goal is “For commercial farmers to develop their own environmental recipes.” Inside of the ACE Units, sensors will monitor 15-20 environmental variables like air pressure, heat, and humidity while specifically controlling 12 of them. Early render of the ACE Unit. 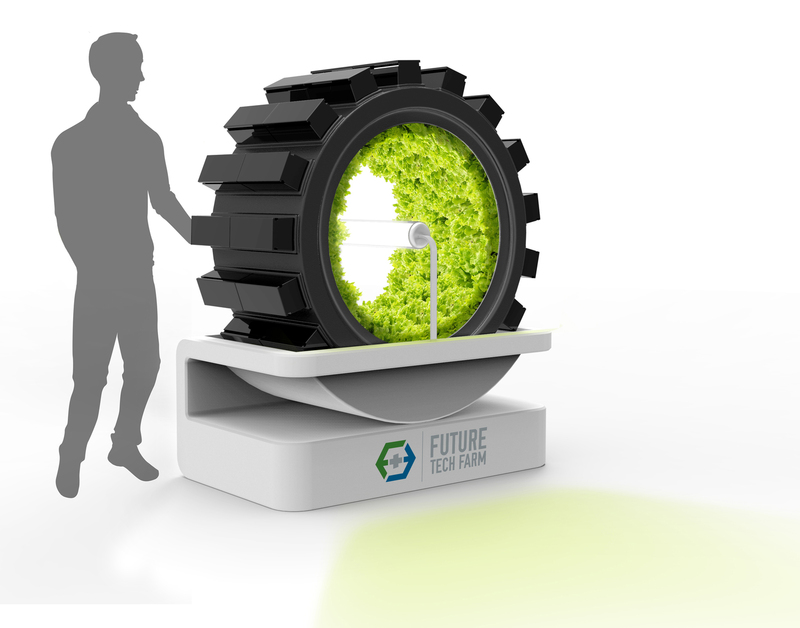 Is this what the future of food looks like? Once a producer finds those perfect combinations of environmental factors, the data will be shared among everyone with a unit, ensuring more efficient production for the entire network. The units target the “low hanging fruit for process efficiencies,” says Brian. He estimates a finished version is about 2 years away and will sell somewhere in the $5-10 thousand dollar range. Brian imagines a future where technology automates, decentralizes, and enhances our food system. He’s aware that people will criticize his vision, but he’s really thought about his response. I’ll speak with Brian again, and you can look forward to reading about it here. We are only going to give them away once and we are only giving them to people on the newsletter. We are working on two exclusive reports with detailed case study information and indicators for success in vertical farming! Sign up (just your first name and email, and we really, really won’t send you too much stuff) and follow us on Twitter @proverticalfarm to hear about them first. 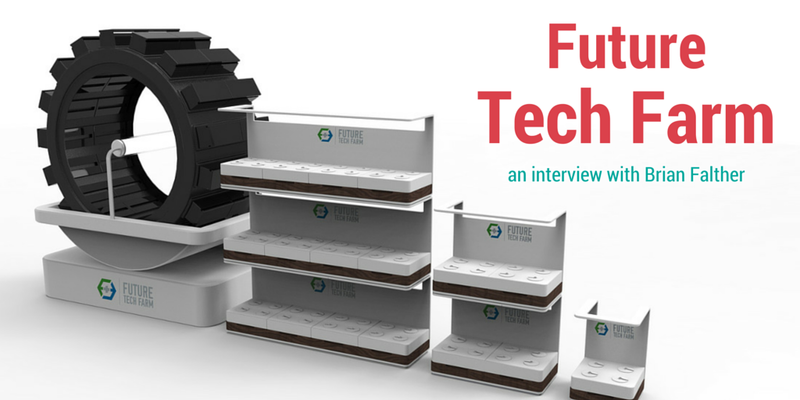 This entry was posted in interview, technology, Vertical Farms and tagged agtech, personal grow unit, startup, vertical farm by Evan. Bookmark the permalink. I must say you have hi quality posts here. Your content should go viral.